opened my own, Chad Michael Salon, in 1997.
learn about new techniques, styles, or products. Colette is a Eugene native. She graduated from Sheldon high school in 2010. Before coming to the salon, Colette had a successful background in dance and received several awards including: 1st Place Lane County Fair Talent Show, Grand Champion Bohemia Mining Days Festival Cottage Grove (age 10), Oregon State Grand Champion for Tap (age 11), Dancer of the Year Sheldon HS 2009, and Oregon All State Award for Dance 2010 (awarded to the top 10% senior high school dancers in Oregon). During her first year at Lane Community College Colette began to consider alternatives to dance as a career. She made a difficult decision and with a giant "leap of faith" decided to go into cosmetology. Having grown up in the beauty industry, she already had a good foundation and after her first day at cosmetology school, Colette knew she had made the right choice. "My career in the beauty industry helps me express my creativity and artistry in a way I never thought possible. Loving what I do empowers my ability to learn and grow professionally." 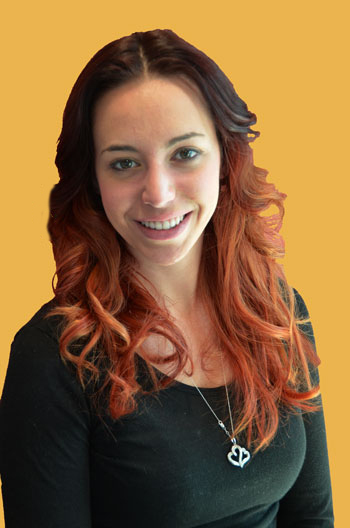 Colette joined her father at Chad Michael Salon in 2013. She offers hair, nails, and skin services.